A US Navy Commander was arrested last week on charges related to bribery. Allegedly, Commander Michael Vannak Khem Misiewicz accepted bribes including free travel and hotel stays, concert tickets, and prostitutes from defense contractor Leonard Glenn Francis, whose Singapore-based company Glenn Davis Marine Asia Ltd. provides various services such as tugboats, fuel, and waste removal to a number of Asian ports. Misiewicz provided classified military information in exchange, allegedly telling Francis details about Navy vessel movements and schedules, and helping to ensure that ships would arrive in the ports wherein Francis’ company had contracts. Misiewicz was a high-ranking Navy officer, having most recently held the post of deputy operations officer for the US commander of the Seventh Fleet. His exposition of classified information could seriously compromise military operations in vast areas, as the Seventh Fleet operates in over 48 million square miles of ocean, which includes areas surrounding Japan, the Indian Ocean, Russia, and Australia. Misiewicz provided details of ship movements months in advance, which the US attorney’s office suggests could have had a significant impact on national security. 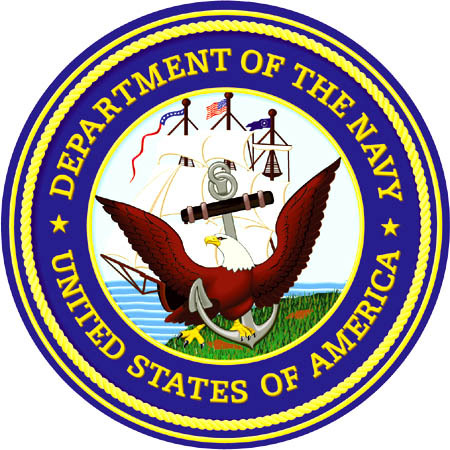 In a separate case, Francis is charged with providing similar bribes to Naval Criminal Investigative Service Supervisory Agent John Bertrand Beliveau II. In exchange, Beliveau provided him with reports pertaining to an NCIS investigation into fraudulent activities at Glenn Davis Marine Asia Ltd. Allegedly, Beliveau downloaded over 125 confidential files and provided them to Francis to burn onto a CD. Misiewicz, Beliveau, and Francis are all charged with conspiracy to commit bribery, and are being held in San Diego prior to facing charges. They face up to five years in prison if convicted. These cases have severe implications for US national defense. Misiewicz’s leaks helped Francis reap profits in the millions, and Beliveau’s information helped him to stay ahead of the investigation into his company. In both, highly-ranked members of military outfits were coerced into severe ethical violations, and this is troubling trend. Are there inherent issues with the United States military’s culture? These allegations somewhat echo the high-profile Bradley Manning leaks, albeit with different motivations and outcomes. However, these connections should spark discussion and contemplation. It is troubling to think that the Naval investigation into Francis’ activities, which one can likely assume was brought about by Misiewicz’s case, could be compromised by the very organization responsible for it. That an organization as large and powerful as the US Navy could provoke such an investigation and simultaneously help to thwart it points to some systemic problems in the organizational structure. It would appear as though background checks that inform promotions within military branches should be under some scrutiny, and that there should be some measures developed to promote more respect for confidential information. Certain members of the military are seemingly becoming disillusioned with its operations, and this could be leading to the leaking of sensitive materials. Therefore, it is pressing that the military look more closely at the culture it promotes and make necessary changes to increase pride and accountability among its employees. Furthermore, a change in the way defense contracts are awarded and a shift in the background checks into companies vying for these contracts is necessary. That Francis was involved in both of these cases suggests that these are not the first instances of unethical behavior on the part of Glenn Davis Marine Asia Ltd., and with matters of national security at stake in the awarding of defense contracts, it is crucial that pertinent information about these companies and the way they do business is collected.